Now this is a game that I really thought was going to be better than it is. Maybe I got too excited at the idea before it actually launched. Maybe I just have such a different mindset as to how I would play that I don't enjoy watching others play. Maybe the sheer slowness of the game just bothers me. There are a lot of different explanations as to why I'm not this show's biggest fan, but its popularity still makes it deserving of a game show spotlight! Brief history: The show premiered just before Christmas in 2005. It was based on the Australian game show of the same name, though it has been argues that the game began earlier in Europe. In 1950s New Zealand that was a radio show that had a similar premise. It was called "It's in the Bag." There have also been several decision-making games, like Let's Make a Deal and Win Ben Stein's Money. Howie Mandel is the host on the American version, though he has guested on the Canadian English version. The show drew a lot of attention from different scholars, from mathematicians and statisticians to those who study how humans make decisions. However, the main run ended in 2009, and the syndicated version ran only 2008-2010. You can catch reruns on GSN currently. The show is seen around the world in more than 60 countries, from Albania and Armenia to Vietnam and Zimbabwe. It has also spawned several adaptations, including an arcade version where the player goes for tickets instead of money, versions for the major consoles in the US, and some handheld games outside of the US. There are also many states that have offered a lottery scratch-off based on this game. The great thing about those was that, if you didn't win, you could still use the ticket to try and get onto the game show. The game: A single participant plays, and they see 26 briefcases. Each briefcase contains a different amount of cash, from $0.01 to $1,000,000 (later increased to $1.5M and then #2M). One briefcase is set aside. The contestant then goes through the process of choosing briefcases, find out what's in them, and realizing what could possibly be left. Throughout that process, the Banker calls to offer different Deals, where the contestant can take $x and walk away. X is based on the amounts left on the board. The player has to decide if they'll take the deal, or if there will be no deal, and keep opening briefcases. Every once in a while, the Banker would offer a prize instead of (or in addition to) a specific dollar amount, from cars to trips to a lifetime supply of gum. Overall, you're hoping that the case you kept for yourself at the beginning has a lot of money in it, and by opening the others, you can see the odds of getting a lot or not. Notable changes to the way the game is played: The United States has a "Million Dollar Mission" variation that was introduced in 1997. If nobody wins $1M, Howie Mandel adds an extra case to the next person's collection, with another $1,000,000 inside. This variation happened four times, and lasted 7, 13, 2, and 8 games, respectively. 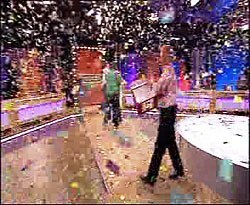 From May-June 2008 there was also another version that aired, where a contestant would start the game by grabbing a bouncing ball from a chamber, and the number on the ball (2-13) indicated how many of the briefcases in the game would contain $1,000,000. Five contestants played using this method, but none were able to actually win $1M. Oh, and syndicated episodes only had 22 cases, with the top prize being $500,000. Special contestants: There were themed games here and there. For instance, a player was a garbage man, so the briefcases were switched to garbage cans for his episode. Or the cases were turned to trays for Thanksgiving. The models standing with each case were sometimes firemen or even featured the contestant's children. Plus, there were sometimes prizes standing in for certain dollar amounts (like a pie instead of $10, or a Ford F-250 truck instead of $50,000). No celebrities really played the game, though some made appearances because a fan was playing. And, a few fun facts: Someone has walked away with $0.01 before. The bank has made offers to from $2.00 to $407,000. Favorite Rounds: It's not really a "favorite rounds" type of game. I guess you could say that I like the contestant picking cases better than I like the banker calling in deals, but otherwise it's a bit difficult to discriminate on this show. But, I reiterate that my main gripe about this show is that it's so slow. My take: This is the kind of game show that I would probably be bad at. I have a difficult time stopping while I'm ahead. Plus, I get nervous when games are purely luck or statistics, because there is so much room for error. I think I'd pass on being on this one to someone who would enjoy it more. 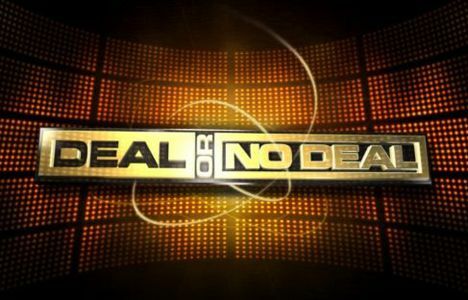 Do you ever watch Deal or No Deal? Would you want to be on the show if it was still running? What strategies would you use?